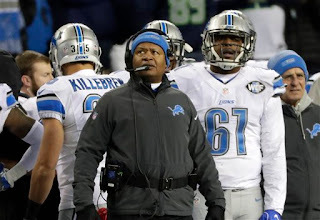 The Detroit Lions' season may be over, but there is still plenty to discuss. Join a chat at 2 p.m. (an hour earlier than usual) on Thursday. Several players could receive contract extensions in the offseason including Matthew Stafford. Will some of the veterans be brought back including Anquan Boldin and Haloti Ngata? And don't forget free agency, which starts March 9, and the draft (April 27-29).